The long-term overall impact of Apple’s Passbook has been a hot topic over the last two months since it was launched with iOS 6 on the iPhone and iPod Touch. But one thing is for sure: if you’ve got a business — small, medium or large — where getting people in the door is important, and are looking to follow in the footsteps of the likes of McDonalds, United Airlines, Eventbrite, MLB, Starbucks, American Express and others, you should at least be looking into Passbook. We wanted to go over the basics of what constitutes a Passbook “Pass”, and give you some insight into how to go about building your own Passes from scratch, because, unlike building a full-fledged iOS app (or even a mobile friendly version of your website), Passbook in most cases should require less development time to get your brand onto someone’s iPhone (although like anything, the more complicated the Pass the more work will be required). Also, for businesses that don’t want to bother with development at all, even though Passbook functionality has just recently been introduced, there is already a healthy number of still-kinda-in-beta third-party services that promise to take most if not all of the technical aspects out of creating Passes, and we take a quick look at those as well. First of all, it’s important to understand that Passes are not apps — Passbook is an app (that is installed by default on iPhones with iOS 6 nd can’t be removed), but the actual Passes (coupons, whatever) are just a file type that only works on iOS 6 (iPhone, iPod Touch – not iPad right now) and in OS X 10.8.2. When a user clicks on a Pass file (for example: example.pkpass) on any of those devices it will add it to Passbook, and, if the user has iCloud set up, it will sync the Pass across all of the user’s devices. So a Pass can be completely independent of an iOS app — or, if you do have or are planning to build an iOS app, Passbook can be integrated into your app as well. There are currently five Pass types; Boarding Pass, Coupon, Event Ticket, Store Card, or ‘Generic’ (yes, that can cover a lot of things) and each of them has their own look and feel, although in all cases, the look is generally a solid color background with as little text as possible and a 2D barcode that can be read by laser and optical scanners. Apple – a bit smugly – suggests that you could use the camera of an iPhone/iPad as your in store scanner. Unless you run an airline, train or bus company, we’re guessing the use of the Boarding Pass, um, Pass, isn’t on your radar. The other four, however, are all Passes that many businesses that rely on getting people to walk in the door can use. For example, a fitness club could use the Coupon Pass to get new members, who then could get a Store Card they could use daily as a membership card, and if the club held a special event, the Event Ticket Pass could even be used as well (although most likely you’d just use the Store Card for entry, but we’re being hypothetical here). For each of these Passes, you can also set date/time and location alerts that push to a user’s home/lock screen at the appropriate place and time. Beyond the simplified, digital wallet interface of the Passbook app, and of course the tremendous number of iPhones in use, these place/time push notifications should be very attractive to many businesses. Even better, like the rest of a Pass, businesses have the ability to push changes to the Pass to alter these parameters (so if your event gets delayed, all you have to do is push out the time change and the Pass will show a notification at the new time). Passes are two-sided — the front is your coupon/ticket/membership card/etc., and the back has your contact information, the option to delete the Pass from Passbook, and a link that opens up your iOS app if you a) have one, and b) the user has installed the app. While it’s obviously a bit obscured on the back of the card, if you do have an app and the user hasn’t downloaded it yet, this is a nice little bonus channel for app installs, although it will probably be a small one. The .pkpass file is a compressed (zipped) file that contains the images, text, and server files that constitute the Pass. The server commands that you’ll need to code to run a basic Pass aren’t very complicated — but of course, if you are building a very dynamic Pass that heavily integrates into your back-end systems, it will most likely get much more complicated. The good news is that Apple has some very clear documentation on developing for Passbook, and simple, non-dynamic passes are pretty straightforward. The compressed Pass file must be signed using an Apple developer key, and this is an important point: according to Apple’s rules, all Passes must be signed by a unique developers key that is owned by the business that this producing the Pass. Apple says that if you use a “contractor” they should be using your development key that is associated with your brand/identity/business etc. If you already have an iOS app, you should be able to associate that with your Passes using this signed key as well. How this rule meshes with the third-party apps we’ll cover below seems to be a grey area at the moment — if there are any lawyers reading this, we’d certainly be interested to hear your take. However, if you share your own key (yes, you’ll need to cough up the $99 a year Apple development fee) with a freelance developer, you’re certainly in the clear with Apple. Once you have a Pass ready, getting the word out about the Pass is simple enough, especially after Apple recently introduced the “Add to Passbook” button, which gives visitors to your website, or readers of your email newsletter, a recognizable (at least eventually) reminder to add a Pass. Passes can also be shared or installed by a link without the badge (as with the “Add to Passbook” badge, the user just clicks on the link and the device automatically recognizes and adds the Pass to the user’s Passbook) as well. So, if you have access to a development team and a designer, in our estimation you shouldn’t be afraid of building your own Passes – especially if you don’t plan to make them to dynamic (for instance, changing remaining balances on the card in near real-time would be trickier), they shouldn’t take take too much development effort to complete. Another bonus is that if you are planning multiple Passes of the same type (for instance, a weekly Coupon) most likely after you built it once, updating for new Passes shouldn’t take much effort. At the very least, if you have a development team and/or work with an outside developer already and are interested in Passbook, have them take a look at Apple’s documentation to see what kind of investment it will take to get going. However, if you don’t have access to development resources (or just want a solution that takes the tech out of it), as we said, a number of services have already popped up that offer Pass creation and management. Since the launch of iOS 6 in September, there has been a wave of services/startups that are focusing on tools for marketers to build, share and track Passes. 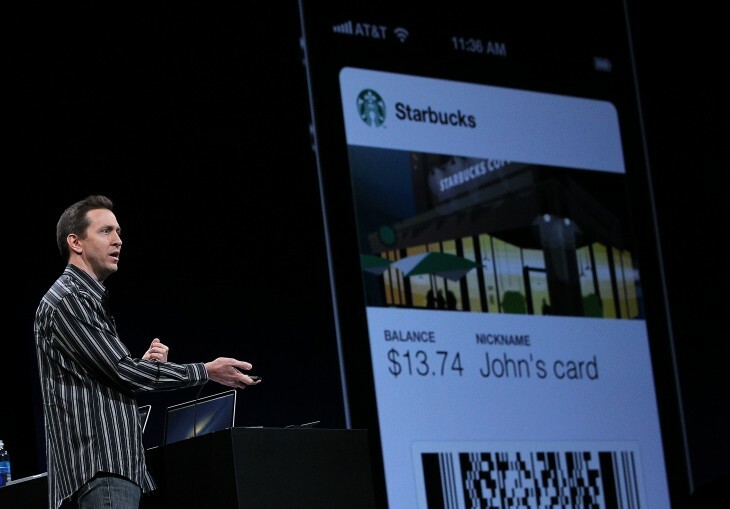 As Passbook becomes used more widely, marketers and business owners — many of whom have no development resources or experience — will want an easy to use but powerful service to build, distribute and track the success of Passes. A very similar ecosystem was created for Facebook Pages as well as of course for mobile apps themselves, but all things being equal, Passes are much closer to the development commitment needed for Facebook Pages than they are to mobile apps, so it’s not surprising these services were able to get up and running so quickly. If you know of any other services like these, please just let us know in the comments and we’ll take a look for our review. So, if you’re a business that is thinking of getting going with Passbook, hopefully this article has taken a little bit of the fear out of the way, and you can start thinking about what you’d like to start offering users and whether to do the development on your own, find a developer to work with or give a third-party service a shot.